Gaining the next level in your savings might need an eye turned toward your video game habits. While I am a great proponent of video games, and have found that they offer several valuable financial lessons, I’ve also found that their cost is often out of my price range. After all, who has $70 to spend on a new video game? Here are some excellent ways to save money on video games and getting that next fix. Bargain bins in the large retail stores have a lot of the older games at cheaper prices. Just because a game isn’t the latest and greatest does not mean that it’s a money waster. You can pick up older games in video game series, as well as more obscure titles which may not have sold very well. You and your friends have a lot in common, which is one of the reasons that you’re friends. There’s a chance that they might already have the game that you’re looking to play, and they’ll probably be more than happy to let you borrow the game (or let you play it at their house) before you’re encouraged to make the decision to buy it on your own. Internet cafes have the latest and greatest shooters, fighting games, and more, all available to you for an hourly fee. Be careful, though, because you can sometimes get the game for a cheaper price elsewhere. Internet cafes will often let you get a taste of the new game to see if you enjoy it. 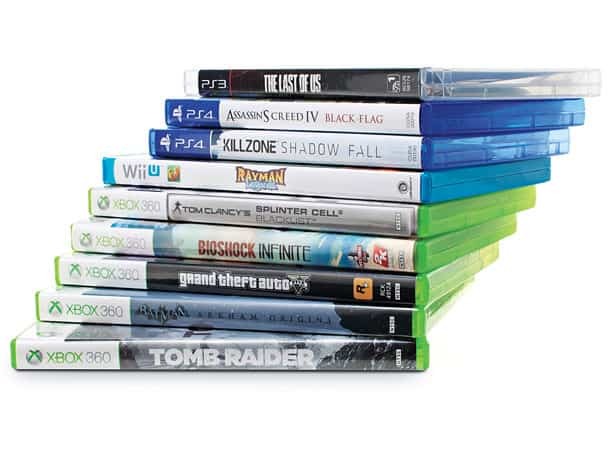 Game retailers (especially in the casual game market) have discovered that they make more sales and have fewer returns if they offer demos and free trials for their games. Quite often, when someone finds a great game, they’re likely to purchase it from the company without hesitation and leave the other games in the dust. If you’re anxious for one of the newer games, give it a shot with the free trial and you just might find a treasure. Sites like Metacritic, Gamespot, Game Rankings and more offer thousands (or sometimes hundreds of thousands) of reviews for both the latest and greatest as well as the older games which are on the market. If you’re thinking about purchasing a game, one of these three (or many others) review sites might change your opinion. In other words, the review sites keep you from buying junk. Free flash game sites are perfect for those who want to play games and don’t want to invest any money in them. There are countless game developers out there who will put up their offerings for free, or depend on the micro-payment culture to make their money. Sometimes, these games are just as in-depth and ‘meaty’ as commercial games that you’d spend the bucks for. At Steam, you can find some of the best independent and new games for a fraction of the price. Because they deliver everything electronically, they can afford to take money off of the brick and mortar prices. Quite often, they will offer bundles which are out of this world, selling you a series of popular games for (occasionally) less than the price of one. 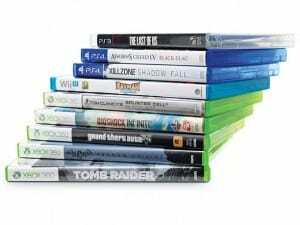 You can jump onto Amazon, eBay, Half or a variety of other online shopping sites to save money on video games. I’ve found recent titles for half off simply because they were used. Even better deals are for games missing the case. I always see tons of video games for sale at yard sales, most times for a few dollars. While finding an exact title you are looking for is more of a chance when going this route, you may be surprised at what titles you will find. I love the annual NHL video games from EA Sports. When I was younger, I would get the new version every year. But now that I am older, I pass on the annual update and only buy every few years. Why? Because most times, the changes aren’t that significant. Sure the players who were traded or signed as free agents won’t be on the correct teams in my old version, but is that really a reason to spend $70? Video game habits don’t have to break the bank. I’m an avid gamer, and haven’t spent money on a game since I got the extended content for Kingdom Rush several months ago (I’m a sucker for a good tower defense game). Why pay full retail price when you have other options available? Another great resource for video games is a website that rents video games for a small monthly fee, similar to Netflix. Check out http://www.gamefly.com/ I have not used it, as I am not much of a gamer, but I did stumble across it once when looking for game reviews. I think if I did have time to play a ton of games, I would definitely use something like this. I know something like this would have been quite handy for Atari and original Nintendo games when I was a kid! I thought of that myself as I read this post. I, too, don’t play enough to warrant that type of expense, but if you were into that thing it might make a lot of sense. The whole video games thing leaves me cold confess – but have popped my son in front of this list to get him thinking about how he can trim his own “spending money” budget. Let us know if he manages to do that. It is a great lesson to be learning. I don’t pay video games like I used to, but there are so many options now when you don’t want to buy a brand new game for $60 and before. The best are the sports games that come out every year. If you can just wait a year, the previous version will be heavily discounted.